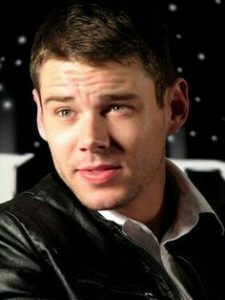 Brian J. Smith is an American actor of film, television, and theatre. He is best known for roles such as Will Gorski in the Netflix-produced series Sense8, Lieutenant Matthew Scott in the science fiction series Stargate Universe, and Jim O’Connor in the 2013 revival of The Glass Menagerie, for which he earned 2014 Drama Desk and Tony Award nominations as Outstanding Featured Actor in a Play. His other notable appearances include: Gossip Girl, Coma, Defiance, The War Boys, and Hate Crime. Born Brian Jacob Smith on October 12, 1981 in Dallas, Texas, he studied at the acclaimed Quad C Theatre program at Collin County Community College. He is a graduate of the four-year Acting program (Group 36: 2003–2007) at The Juilliard School Drama Division in New York City. He made his film debut as ‘Trey’ in Hate Crime (2005). *He was born on October 12, 1981 in Dallas, Texas, USA. *He earned a bachelor’s degree from the renowned Juilliard School in New York City. *He was classmates with actress Nicole Beharie when he was in Juilliard School. *Follow him on Twitter and Instagram.